when we moved into our new house, the first thing i noticed was the space. it had so many more closets and space to store things even though the actual house was much smaller. 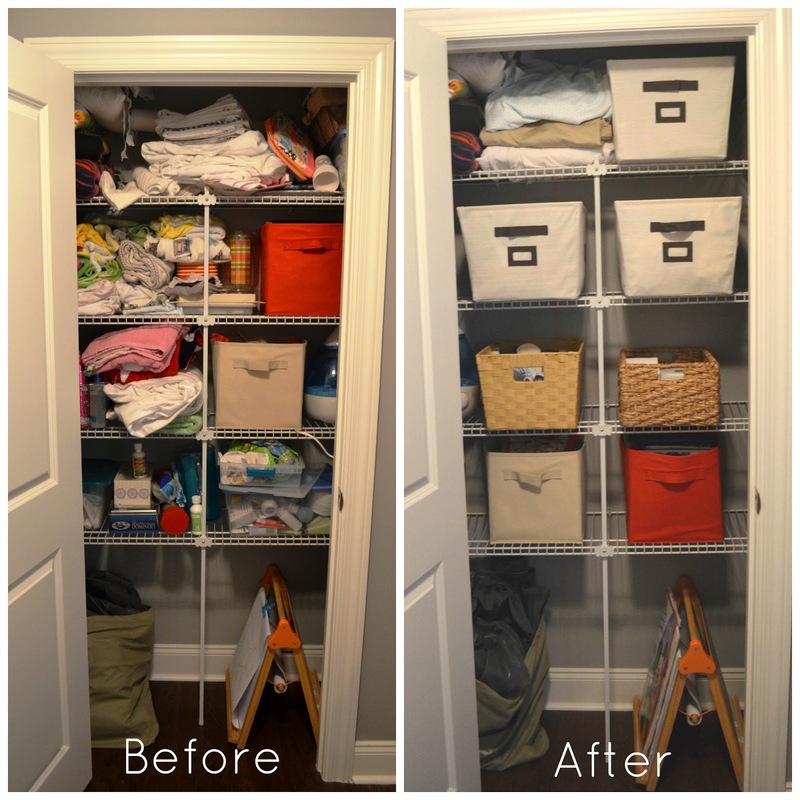 i was so excited to put it all to good use but once i finally got everything in the linen closet by the girls rooms, i noticed that space disappeared very quickly. i couldn’t understand what happened. in the early stages of unpacking, i pushed and shoved everything in there hoping it would just sort of fall into place. that wasn’t the case at all. 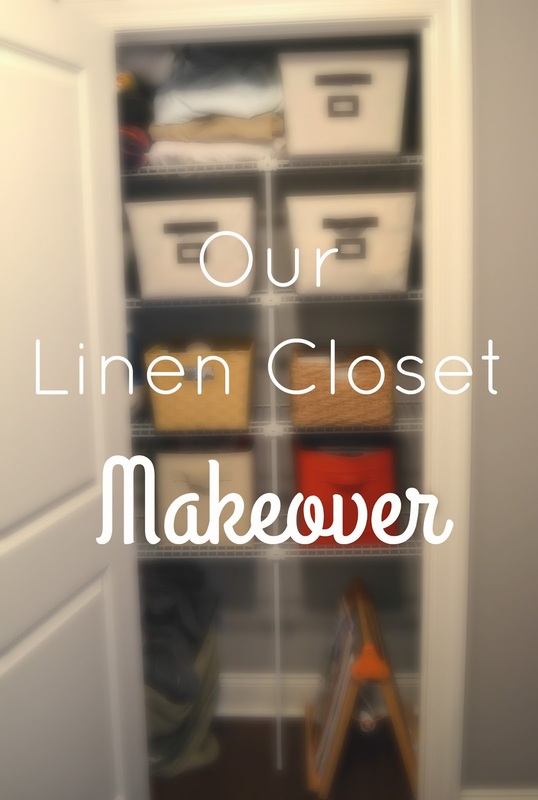 what i needed was a good linen closet makeover. something to make me feel a bit more organized and not like everything is going to come crashing out at once when i opened that door. this is actually really embarrassing to post the before picture but i figured if i was going to post about this, i might as well be transparent. i set an afternoon aside and got to work. and the end result turned out better than i could have anticipated. if we owned the house, i probably would have taken the shelves out and put wallpaper in the closet. i’ve seen some people do that and it’s such an unexpected pop of color without committing a full room to it. i’ll just add that to my list of fun things to do when we own out next home! i took everything out and started with a clean slate. 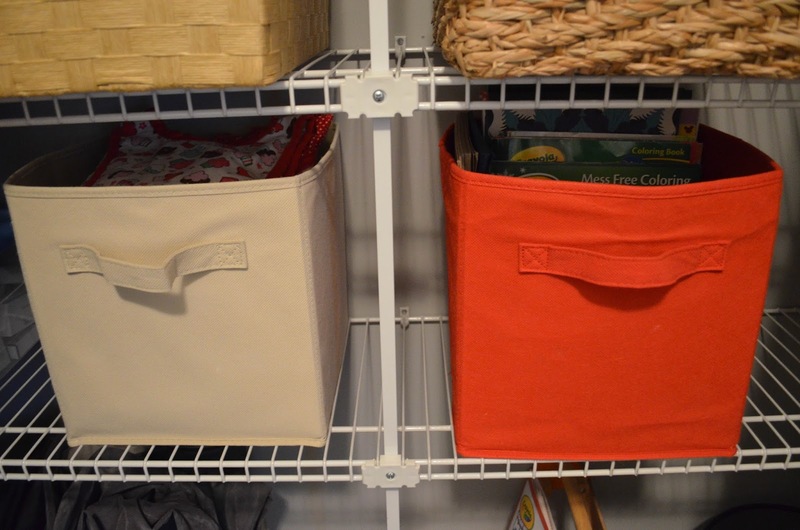 i got a bunch of baskets and bins, not all the same style but all in the same neutral color family. 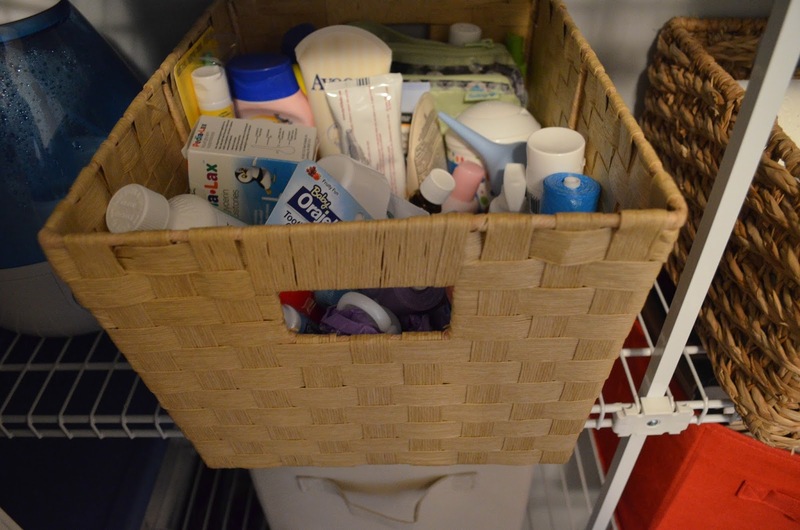 i hid a lot of our not so pretty things like the girls’ sheets and their towels and washcloths too. 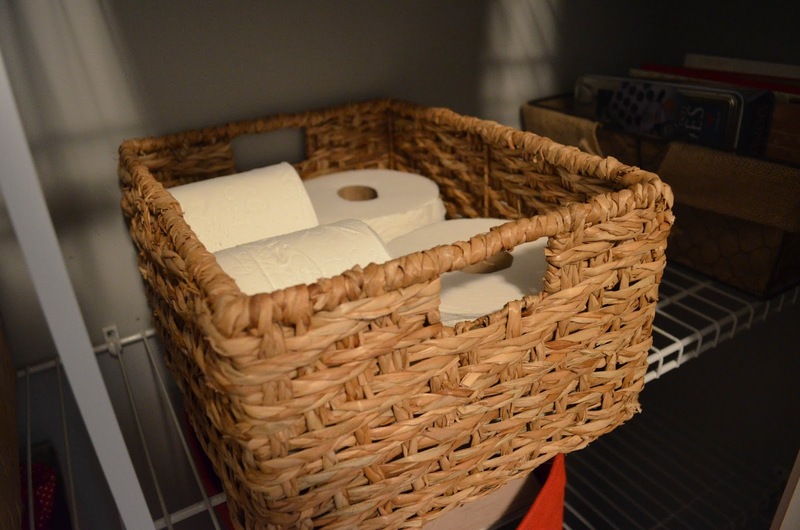 the toilet paper i left out so we can grab it when we run out in the bathroom since we do plan on having guests stay with us. i also left a few of the blankets out that we’ll use when needed. along with all the typical linen closet things, i also added a shelf for all of addison’s craft things. she doesn’t have any room for them in her closet anymore so the bottom row with the colored bins has all of her coloring books, crayons, paints, etc and on the bottom is her easel board to set up when she wants to. 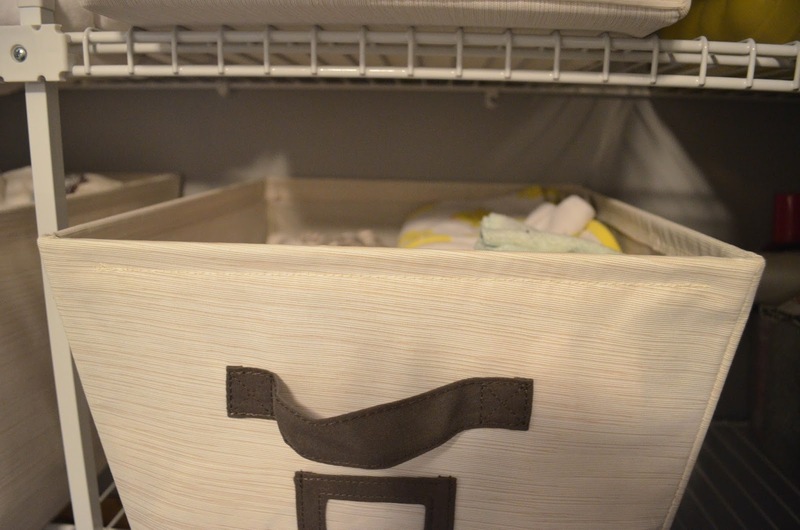 i know this isn’t the typical thing you would see in a linen closet but it works for us and that’s what matters. i’m pretty happy with how this closet turned out and i’m excited to tackle my next space in this house! Wow! It looks great! Feel free to come organize my house anytime! Oh my goodness! So much more organized! I love it! Great job! 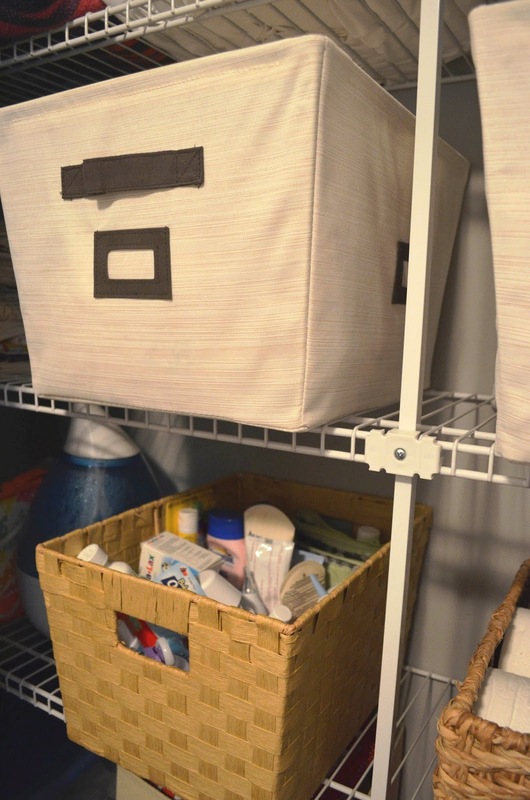 What a great idea to use these bins! I love it!